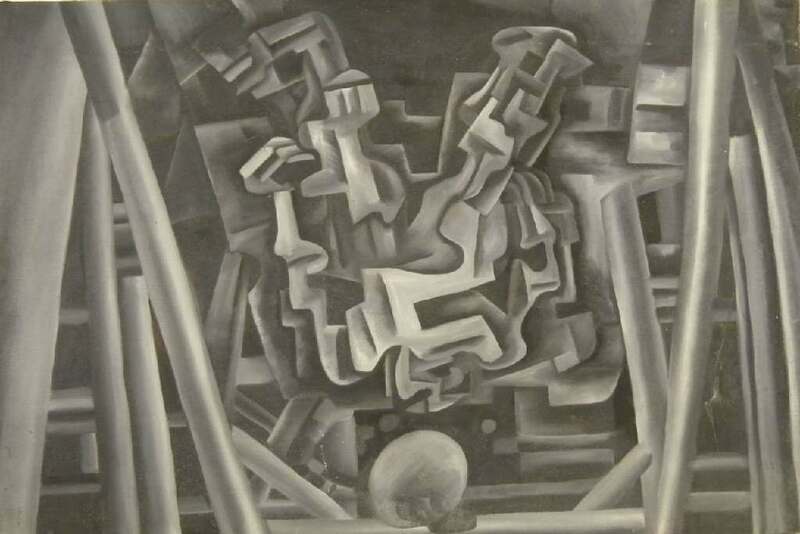 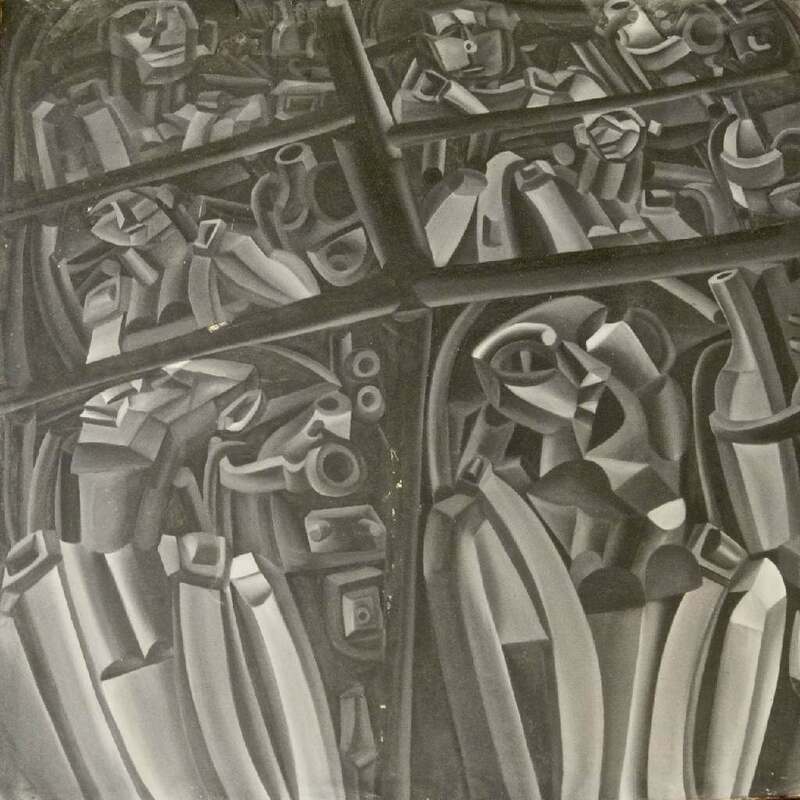 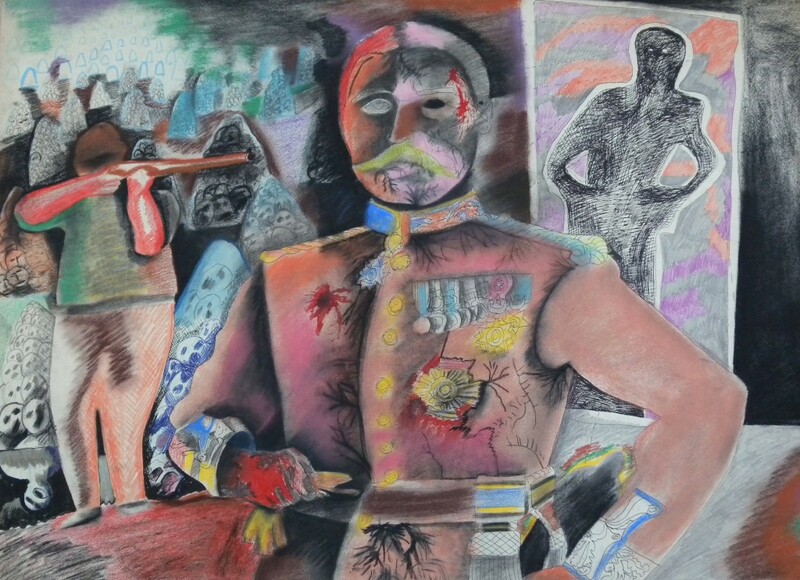 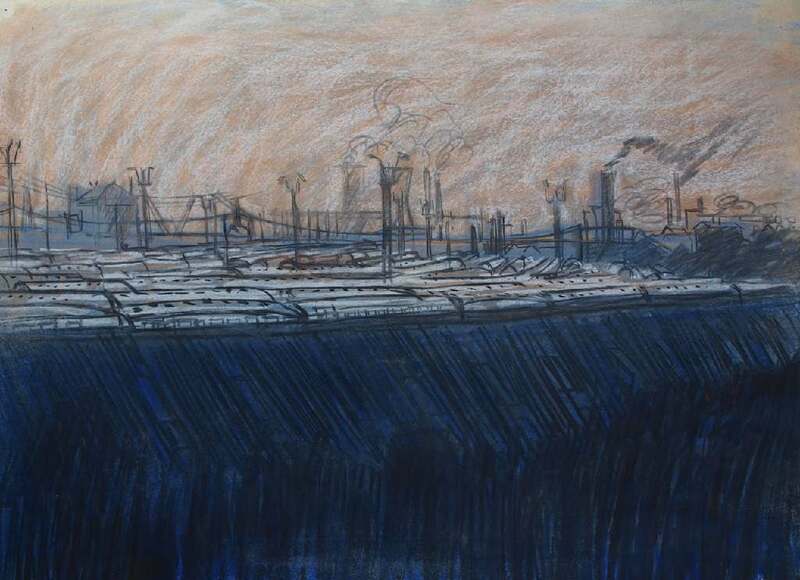 We know that as a teenager Dave Pearson began to collect material about the space race, which fascinated him, and he used this as subject material for artwork. 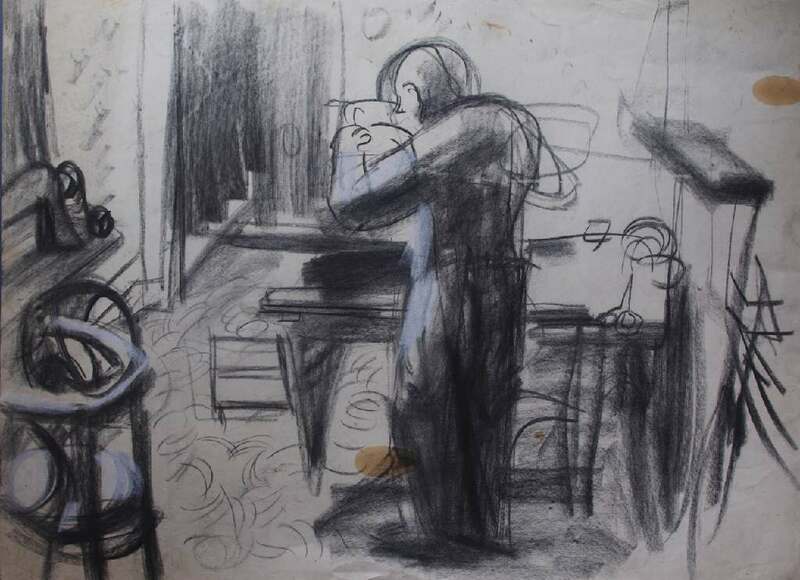 Between 1955 and 1960 he enrolled at St. Martins and the Royal Academy Schools, where a tutor commented that he had ‘never seen him smile’, and by his own admission Pearson was an ‘angry young man’. 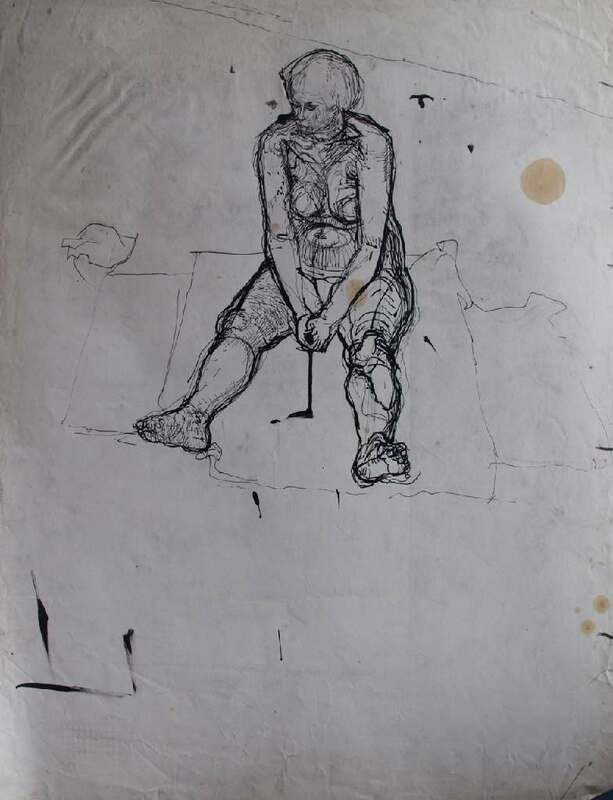 Probably as a result of this attitude he didn’t graduate from either institution, but his Astronauts series was included in the Young Contemporaries exhibition in 1959, and was shown in 1961 at the New Art Centre. 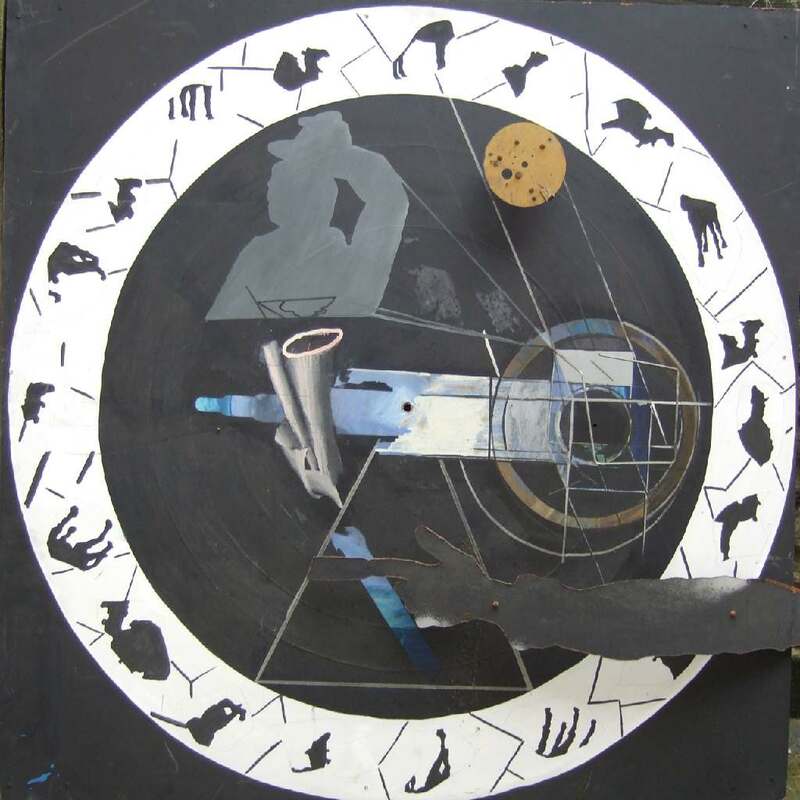 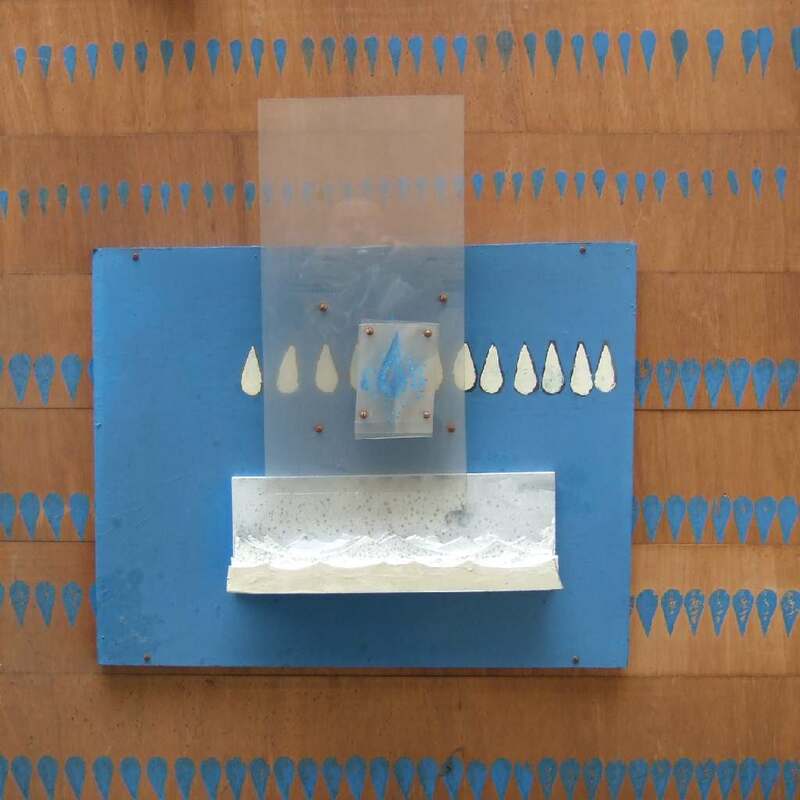 By 1962 Pearson was experimenting with mixed media, making assemblages, photo montages and attempts at kinetic work – soaking up all the current trends. 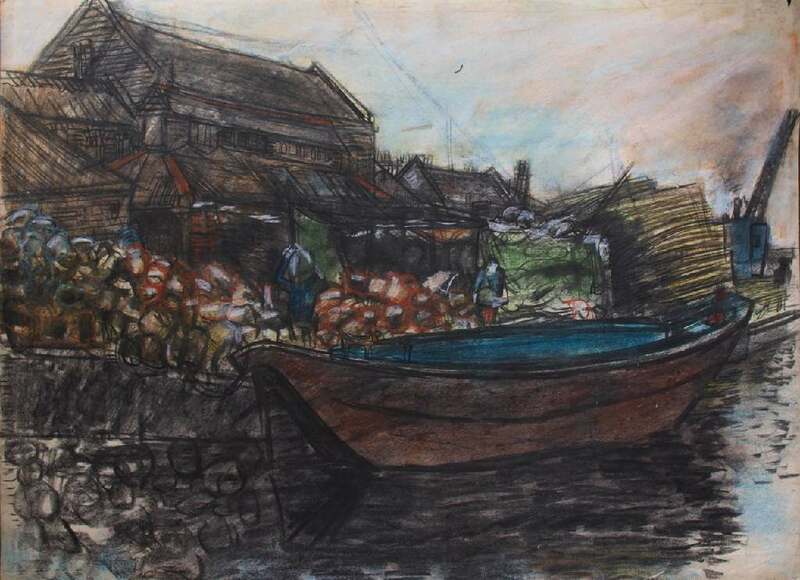 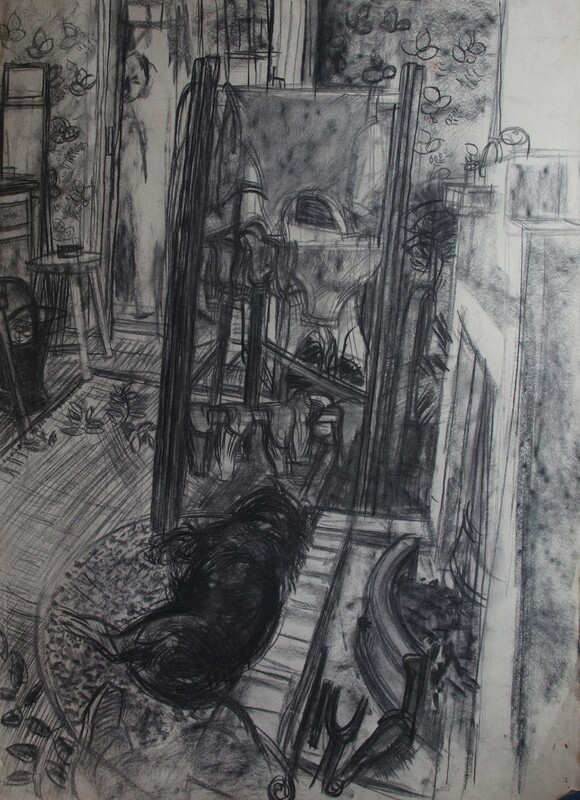 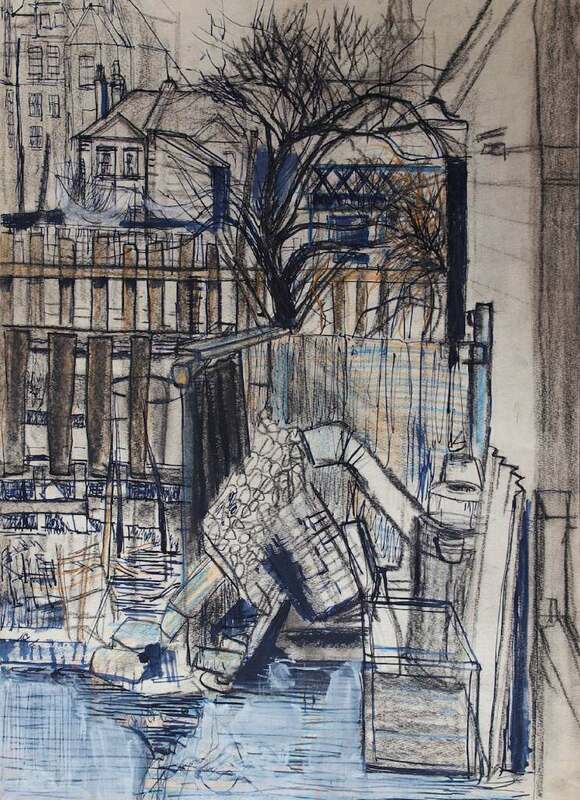 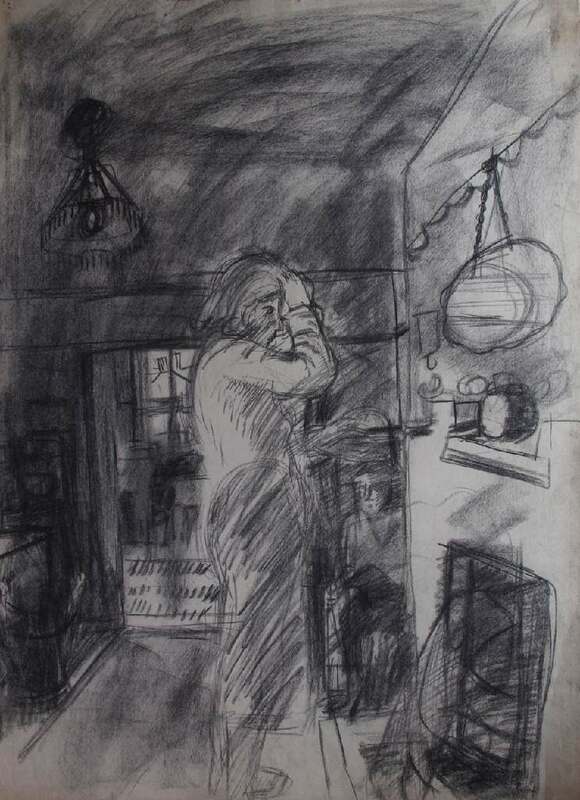 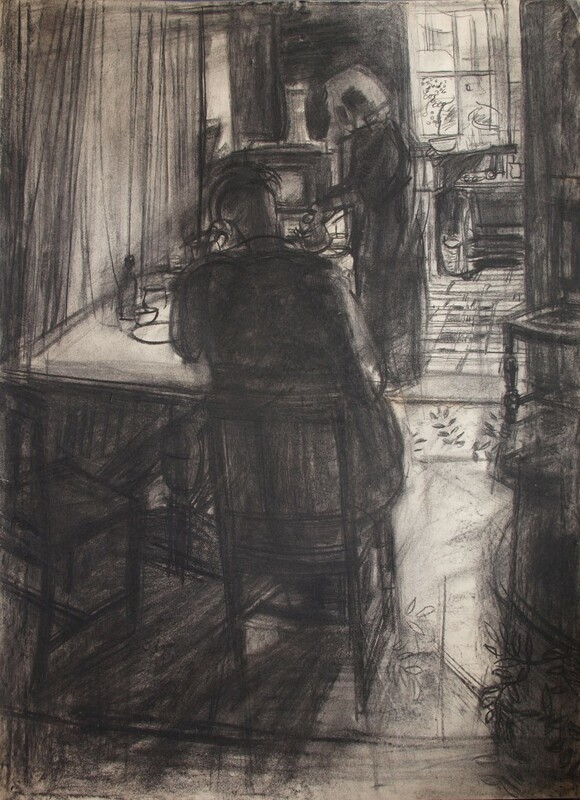 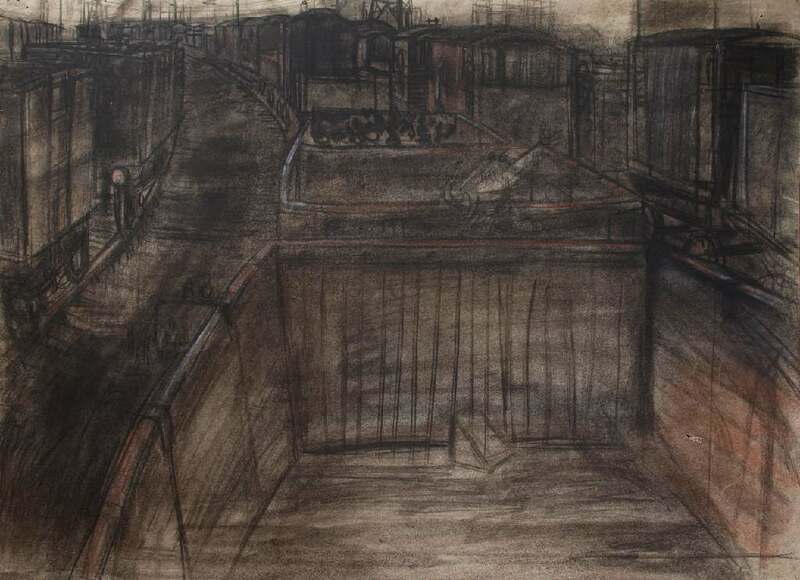 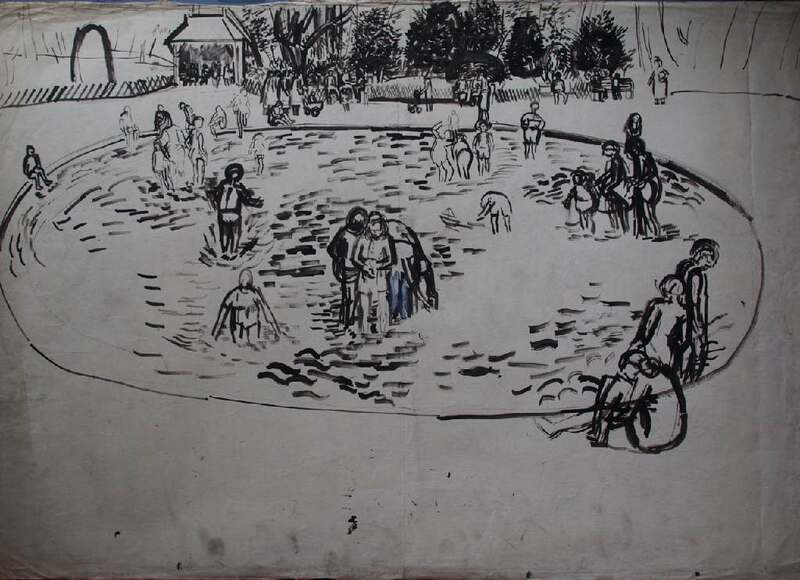 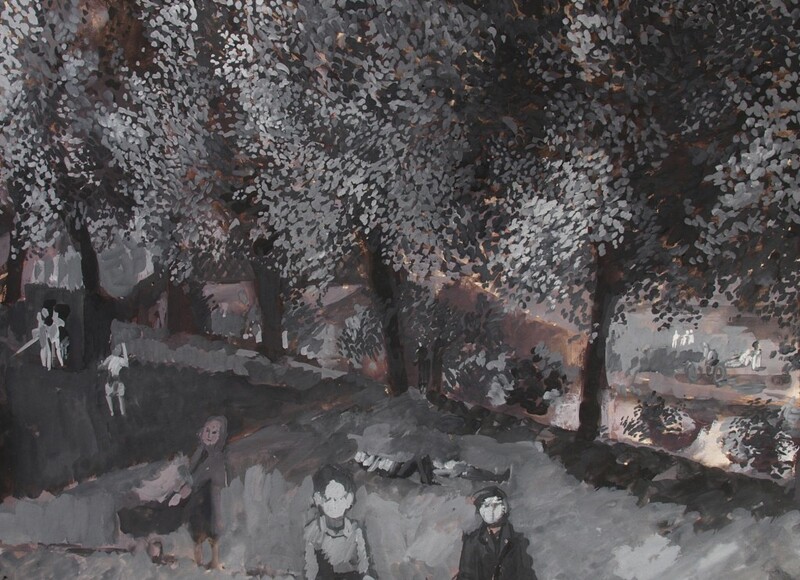 He continued to draw and paint throughout this time, and the selection below shows some of the domestic scenes he drew as well as various landscapes in the vicinity of his home in Hackney, London.